Anyone who doesn’t appreciate the Madison County Mutual Admiration Society, well, there’s just something the matter with them. That’s awesome! It’s wonderful hearing all my favorite quilters on the podcasts. There’s always something new that I learn. Sandra, thank you! Thanks for checking out Hannah’s TedX presentation. Hi Marianne! Your podcast was fascinating. I loved hearing about how you started quilting and teaching, and about your daughters. Thanks for the shoutout above. I know we haven’t met in person yet but I do feel like we’re old friends! Next time you’ll be in Iowa City, let me know if you’d like to get lunch or a cup of coffee. Melanie, I’ll do that! Thank you! It is very fun to listen to the podcasts while sewing. It is like a normal conversation talking to Elizabeth Townsend Gard. Besides all the well know quilters, she will interview anyone with a connection with quilting. She even interviewed me and I am just an average quilter who dabbles with fabric design on Spoonflower. My interview hasn’t been posted yet. Kathy, I look forward to your interview! Frances Dowell now has a FACEBOOK page dedicated to QUILT FICTION … It started as a link to listeners of her FRIENDSHIP ALBUM, 1933 podcast, which is a serialized podcast of a future book. Nonnie, thank you for mentioning this. I recently read Frances’ collection of short stories, Margaret Goes Modern. We have not yet met in person but have become email friends and plan to get together at QuiltCon in February. Frances’ website is francesdowell.com. 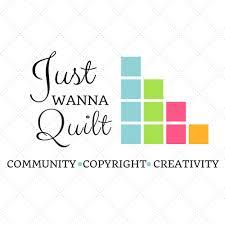 I have followed Frances since 2010 when we both started quilting podcasts … I think I have read all her books even the kid ones as I have a grandson who likes them. I correspond on line with Frances often. I just think she is a marvelous person and you will enjoy meeting her. I have never listened to a pod cast. I will have to give it a try. You should try it! A podcast is just like a really entertaining radio show, but in some ways even better because you can pause it or even rewind it if you miss something or get distracted! What Elizabeth Townsend Gard has created at Tulane University is nothing short of AMAZING, and it benefits so many in various ways. I am proud to be part of the Quilting Army, and my son, who is a third-year law student at Tulane, has benefited from working for Dr. Gard, both in his exposure to the vagaries of social media and in his law education. Kudos!